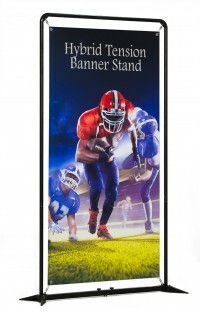 Retail banner stands are portable banner stands that have a heavier and less mobile base to stand up to the type of traffic that is typical in a retail location. 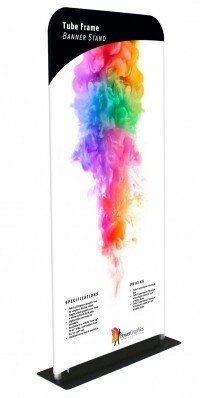 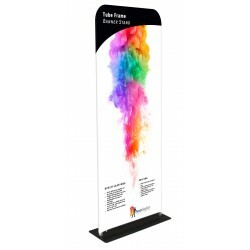 Since retail banner stands typically don't travel, they don't have to fit into a compact travel case like you would expect from a trade show banner stand. 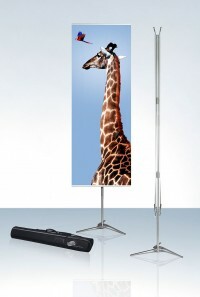 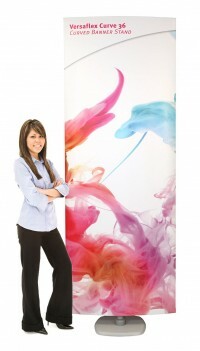 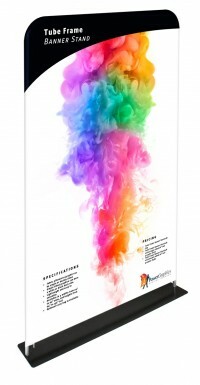 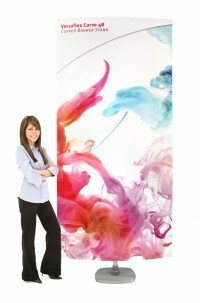 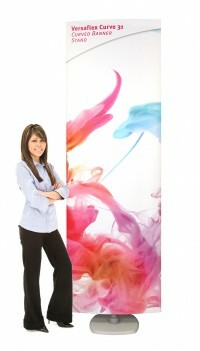 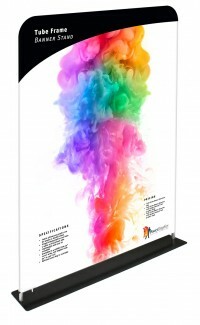 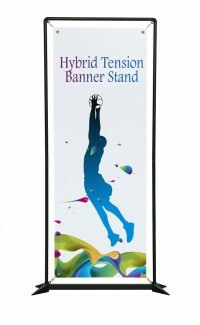 This is not to suggest that these stands can't be used in a trade show environment, or that retractable banner stands and portable banner stands can't be used in a retail environment, but they are placed in these categories because this is what they were designed to do, and to make it easier to differentiate them from one another. 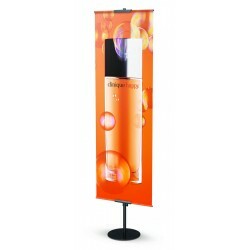 There are several stands that will appear in both the Retail Banner Stands and Portable Banner Stands categories, since they have options that allow them to be used in either environment. 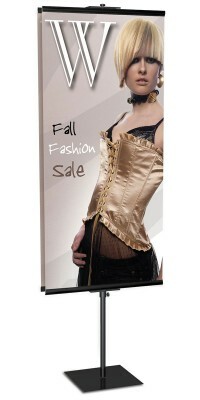 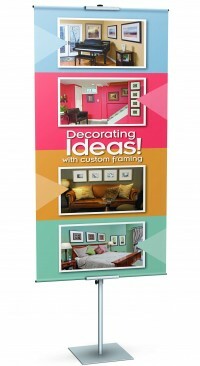 Banner Size 24 x up to 72"